Of course, when it comes down to it, the best e-liquid starter kits for beginners are quite a personal choice; what one new vaper may love, another may loathe. Taste, strength and viscosity all come into play when vaping, and everyone has their own favourite in each category. Fortunately, there is an abundance of e-liquids on the market that cater to every preference, and when starting out you just need to know what each has to offer. Some people start vaping to quit smoking, while others start for the delicious taste sensations and to learn how to blow epic vapour clouds or rings. Regardless as to why you are taking up vaping, these are the things you need to know when deciding what e-liquid will suit you best. What are e-liquids made of? E-liquids are made of nicotine (in some but not all cases), Vegetable Glycerin (VG), Propylene Glycol (PG) and assorted flavourings. Some e-liquids are nicotine free, while others have as much as 20mg of nicotine. PG vape is generally the more common option, as the VG creates a thicker, denser vapour that is better suited to more powerful e-cigarettes or mods. PG and VG are generally used as the bases for e-liquids and some PG vape does not contain any VG, and vice versa. For those that enjoy cloud chasing or blowing massive clouds, a liquid high in VG is the right choice, but this type of vaping takes a bit of practice and it may be some time before you are confident enough to creat crowd-stopping clouds. Bottles of e-liquid are usually available in 10ml, but there are also 5ml bottles that are perfect for beginners. If you want to enjoy vaping but don’t want to inhale any nicotine, there are e-liquids that are nicotine free. However, for many, it’s the buzz of the nicotine that makes them all the more appealing, especially as they don’t contain all the harsh chemicals that cigarettes do. Many smokers who switch to vaping will start out with a higher nicotine content e-liquid and reduce the strength as time goes by. High strength of e-liquids contain between 12-20mg of nicotine, while the lower strengths have between 3 and 12mg. If you are not used to the higher strength, you may feel quite dizzy and lightheaded after vaping, and it may cause you to feel nauseous too. Generally, beginners should start with a lower nicotine mg and if they find that this doesn’t provide the desired hit, they can always increase it. When you start vaping, you may find that many brands promote what they think is the right e-liquid for beginners, and that you are swayed in this direction. However, if you find you don’t like the taste of the liquid, you shouldn’t be disillusioned. Everyone has different taste buds and what works for some, doesn’t work for others. The best way to decide what you like best is to try a few different flavours that are far apart on the taste spectrum. Opt for a classic cigarette taste, a menthol taste, a fruity, sweet variant and a bitter option. You may take a while before you hit on the flavour that you love, but it is important to change it up every now and again to avoid flavour saturation. If you have friends who vape, see if you can try other people’s flavours too. Some people also enjoy matching their flavour to the time of day, so may start with a fresh mint and move to a rich cognac or liqueur flavour at night. The trick here is to not overfill your tank, and to ensure that you don’t run dry too! 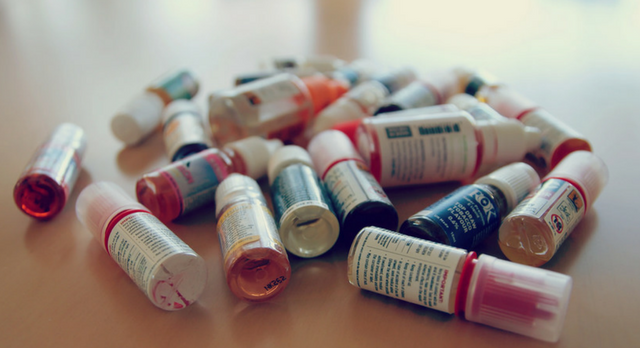 When choosing an e-liquid, you should also remember that each has its own sensation too. For example, menthol may make your tongue tingle, while the sweeter liquids like those flavoured with toffee, chocolate or fruit may be quite intense and are better suited to those with a sweet tooth. Some smokers who are switching to e cigarettes may enjoy starting off with the more traditional tobacco flavour as they find the transition far easier although views vary on this. The taste sensation is also affected by the level of PG or VG in the liquid, and this can mean a thinner or thicker vape cloud. If you are feeling adventurous, you can always check out a beginner’s guide to making e liquid, and see if you want to try your hand at creating your own juice. 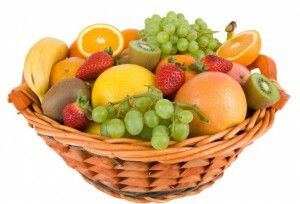 For some, this is far more appealing as they get to see what goes into it, and can create the exact taste they desire. For others, it may be easier to start off buying e-liquids in store. However, most stores won’t offer refunds on open bottles, so if you buy a bottle you don’t like, you cannot return it. A make your own e liquid beginner’s guide will tell you how much of each ingredient you need and will tell you how to mix a small or larger batch. This gives you the freedom to experiment a little, but when it comes to adding the nicotine, you need to be very careful. Too much nicotine can make you ill and a beginner’s guide to making e liquid should be very clear as to what strength you should use. A rule of thumb is that you should start with less rather than more, and work up from there. Making your own e-liquid can be entertaining and even those who have just started vaping can enjoy this activity and learn as they go along. Interestingly, e-liquid is not a one size fits all option, and beginners will need to know a little about their e-cigarette before they buy their first juice. There is a difference between classic and sub-ohm e-liquids and the most prominent is the differing PG/VG ratio. Classic e-liquids are specifically designed for vape pends and standard e-cigarettes, while sub-ohm liquids are specially designed and formulated for sub-ohm mods and devices. Most beginners start off with a traditional e-cigarette or vape pen, but there is nothing stopping you starting on a sub-ohm device too. The best e-liquid for beginners must be suited to the device too, not just to the vaper! Classic e–liquids are thinner than those made for sub-ohm devices. This is because the device’s portholes are far smaller. If you use the wrong liquid, you may start getting dry hits as the liquid cannot pull through the holes. This can be really quite unpleasant. The liquids designed for sub-ohm devices have a very high VG and are much thicker. These work perfectly in sub ohm devices which are more powerful and have wider holes that allow for the liquid to draw through. Using the wrong liquid in these devices can lead to flooding, so it is imperative you know all about your device before you fill it with the wrong e-liquid. Draining it out is annoying, wasteful, and it can get messy too. There are several things you can do to ensure that you enjoy the best possible vaping experience right from the start. These are just a few tips to help you on your way. For starters, always shake your e-liquid before you fill up your tank. This ensures that the flavour is evenly distributed and that the taste experience is the very best it can be. If you don’t shake the liquid you may find that the taste is compromised, or that it seems watered down. Secondly, always store your e-liquid in the shade. It’s not packed full of preservatives and it can deteriorate in quality if it is heated in direct sunlight. Leaving it in your car is always a bad idea; it’s advisable to keep it somewhere cool. Lastly, and possibly most importantly, always keep your e-cigarette as clean as possible. This means cleaning it on a regular basis inside and out and ensuring that none of the parts have become clogged. If you don’t do this, your e-liquid won’t taste great and as a beginner, you may find that you are not getting the most out of your vaping. It’s also a great idea to clean your vape when changing liquids so that you don’t mix flavours, with the residue of one flavour left behind compromising the new flavour. Many vapers have more than one device or a spare atomiser / tank combination to allow for e-liquid switches. Finally, do remember that nicotine is noxious and that e-liquid must be stored safely away from the reach of children. Choosing the correct clearomizer tank for your e-cig is quite important; the clearomizer is one of the most vital parts to make sure that your e-cig is vaping effectively. With the Aspire Nautilus Honeycomb Tank, you can get the very best level of vape. 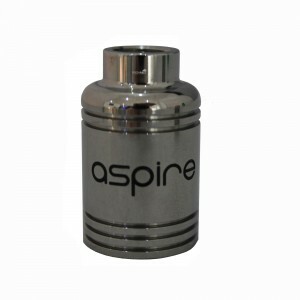 The Aspire Nautilus Honeycomb clearomizer is a more robust tank, and perfect for holding any e-cig liquid. Compared to conventional glass tanks, this is more durable and guaranteed to last longer. We have found that the main problem our customers have with vaping is problems with the clearomizer. Any many find that it is usually the clearomizer that breaks first, however, with a more sturdy version, damage is limited. So why not fill your e-cig liquid with style? 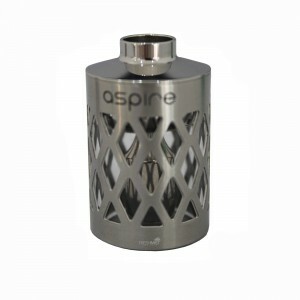 The Aspire Nautilus Honeycomb is made from stainless steel so durability is a sure thing. What’s more, this clearomizer fits to the general sized battery, so you can choose any size, shape or price of battery to go with it. However, if for any reason you need to replace the clearomizer, Fresh Mist stock Aspire Nautilus Replacement Tank, and both you can get for just £9.99 each. As you develop as a more experienced vaper, it will become clear that building your own e-cig and developing a taste for one e-cig liquid is the way to go. Choosing your favourite battery, clearomizer and e-cig liquid is easy with Fresh Mist as our range is huge. What’s more, we always want to make stopping smoking easier and cheaper and our prices reflect this. All you have to do to quit smoking today and personalise your vaping experience is get in touch.  You can order online the equipment that you need and we’ll get it sent to you straight away. Or why not call an adviser? We’re always here to help you out if you have any questions. What’s more we have thousands of e-cig liquid in stock. There are many e-liquid flavours available, but our British made fruity e-liquid flavours by far the best around. We have created and formulated a range if e-liquid flavours which most closely clone those flavours they are designed to resemble. Whether you want a citrusy flavour, banana or apple, we have the perfect liquid in stock for your perfect vaping experience. Moving on from a tobacco flavour to a fruity flavour can sometimes be the decider between smoking and quitting, as when you move on from a tobacco based flavour you are moving even further away from smoking cigarettes. What’s more the taste is fantastic and will leave you with a fruity taste in your mouth for ages. If you have been thinking about giving up smoking, why not take the leap today? We have e-liquid ranging in strengths, from 0mg to 18mg, so even though you might still be getting the same hit of a cigarette, the taste is fresher and tastier. What’s more, if you already vape with fruity e-liquid flavours, why not move on to our brand new e-liquid formulas? Our e-liquid flavours are all designed in line with current health laws. Giving up smoking today will obviously improve your health, but it will also improve your finances. Our new e-liquid flavours are not only created in Britain, but you can buy bundles of them here online or in store for low prices. We want every single customer that comes to Freshmist to quit smoking to get the help and encouragement that they deserve, and selling our e-liquid flavours at such a low price, how can you resist? Why not move on to fruity e-liquid flavours today? We have many different flavours in stock, so why don’t you have a look at our e-liquid flavours page now. You could be up and vaping in no time. You can always call us or visit our store as well or reach us on Facebook. If you have been vaping for a while, you’ll know that buying e-cig liquid singularly can end up costing a fortune. However, here at Freshmist, we now offer e-liquid wholesale! Buying your e-cig liquid in bulk can save you time; what’s more, you can buy your e-liquid at the wholesalers price, a significant reduction from the prices of normal retailers. If you know which e-cig liquid you smoke, you can buy massive amounts at low, low prices. Vaping with Freshmist is simple, as having huge quantities of e-liquid wholesale to hand, at home, is even simpler than popping to the shop for some cigarettes! We sell e-liquid wholesale, as we know that the low prices will keep customers coming back. What’s more, with Freshmist you can guarantee quality e-cig liquid as we develop and formulate all of our liquids here in the UK. Unlike our competitors in the market, who will buy e-liquid wholesale suppliers from the far east, we want to make sure that every single customers know exactly what they are vaping. Why not have a look at our website, as the range of e-cig liquid flavours we have is extensive. Whether you’re giving up smoking and vape with tobacco flavours, or you prefer something a little bit sweeter, whatever flavour we have got it at vape liquid wholesale uk price. The price you pay to vape significantly reduces your smoking bills each week anyway, so why not reduce them furt her, and buy e-liquid wholesale from Freshmist. Available in a range of flavours, and suitable for any e-cigarette, why not give us a call or order the product online. We have strict health and quality control in place, ensuring we provide an A grade product and at a low price. Buy e-liquid wholesale and get vaping.